Diamonds are classified and priced according to the four C’s: Color, Carat, Cut and Clarity. Among these four criteria, clarity is sometimes given the least attention. This is because while color, cut, and the size are easily observable, diamond clarity is difficult to assess with the naked eye. If you intend to buy a diamond sometime soon, there are a few basic facts you should know before you make an actual purchase. Quite a lot of individual buyers are willing to forego clarity for a little more size, and their reason is that unless you look at a diamond through a powerful lens, you won’t be any wiser about a few carbon spots here and there. Diamond experts, on the other hand, will tell you that clarity is no less important than the other C’s. 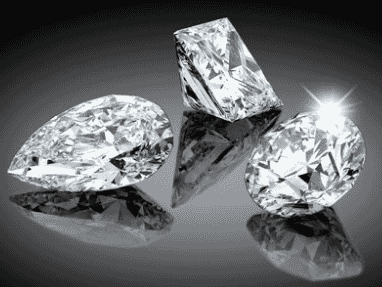 It is in fact a decisive factor in determining the value of a diamond over time. Clarity describes the presence or absence of inclusions within the diamond and blemishes on its surface. Clarity refers to the size and number of miniscule imperfections present in most diamonds. There are several kinds of imperfections affecting stone quality, even when these are not easily noticeable. Most diamonds have imperfections, but quite often, these flaws are not substantial enough to affect the general appearance of the stone. Diamonds that are crystal clear are the most popular and, th erefore, the most expensive. Many diamonds have natural identifying characteristics sometimes referred to as “inclusions” such as scratches, trace minerals or other tiny characteristics that can diminish the pure beauty of the diamond. These inclusions are developed in the diamond during its formation and a few are actually a result of the harsh stress that a diamond undergoes during the actual cutting process, which is justified when you think of the effort it takes to a create a diamond. The fewer inclusions a diamond shows, the rarer and more valuable it is. Many are not detectible by the naked eye but can be seen under a microscope. When imperfections are present on the surface of a diamond, these are called blemishes. When these flaws are found within the stone, they are referred to as inclusions. Crystal or Mineral Inclusions. Quite often, small bits of crystals and minerals are found within a diamond. A close look at these inclusions will reveal that these look like bubbles, needles or crystalline grains. If they are not visible to the naked eye, even a gemologist may consider them insignificant. Carbon Inclusions. A diamond may come with tiny spots that are actually made of carbon – the very element that the entire diamond is made of. These carbon or graphite spots did not crystallize along with the rest of the diamond as it was being formed. Small isolated carbon bits in the diamond are referred to as pinpoint inclusions. When numerous enough to form a haze, they are referred to as a “cloud”. Clouds can negatively affect the stone’s clarity, over-all quality, and value. External carbon imperfections that are bigger than pinpoint inclusions are simply referred to as carbon. Typically, these imperfections look like black spots. Depending on their size, these can affect the clarity of a diamond and substantially bring down its price. Feathers. Sometimes diamonds have feather-like internal cracks and fissures. When these cracks and fissures run through the diamond or when these fissures present a major stress point, the clarity and durability of the stone may be compromised. If you have been window-shopping for rings and asking salespersons about some items you like, you may have come across terms like VVS and VSI and wondered what they are all about. These letters are nothing but symbols to indicate diamond clarity when examined with a loupe that provides 10x magnification. GIA (Gemological Institute of America) uses a detailed system of rules andstandards to summarize the number, location, size, and type of inclusions present in a diamond. Grading is done under 10x loupe magnification. Grades range from Flawless - diamonds that are completely free of inclusions, to Imperfect 3 - diamonds that possess large inclusions that are visible to the naked eye. FL = Flawless: No internal or external inclusions of any kind are visible under 10x magnification. These are the most rare and expensive of all clarity grades. 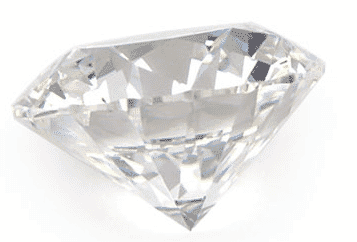 IF = Internally Flawless: A diamond that is graded internally flawless has no inclusions and no blemishes when viewed at 10x magnification, although there may be some tiny external irregularities in the finish. These are also quite rare and expensive. VVS-1: Very Very Slightly Included 1: Usually just one tiny inclusion is visible only to a trained eye under 10x magnification. These are exceptional quality diamonds and relatively expensive. VVS-2: Very Very Slightly Included 2: Tiny inclusions are visible only to a trained eye under 10x magnification. These are outstanding quality diamonds and still relatively expensive. A VVS1 or VVS2 grade means the diamond’s inclusions are so minimal that even a skilled grader using a loupe with10x magnification would have difficulty finding. Stones graded FL to VVS2 are frequently not within the reach of most people in the market for diamond engagement rings. Fortunately, there are other grades that still allow couples to choose a stone they will be happy with. VS-1: Very Slightly Included 1: Very small inclusions are visible with 10x magnification. These are high-quality diamonds and moderately expensive. VS-2: Very Slightly Included 2: Several very small inclusions are visible with 10x magnification. These are quality diamonds and moderately expensive. Diamonds graded VSI1 and VSI2 have inclusions that can only be detected after much effort even with a 10x loupe. Because such inclusions do not detract from the general appearance and beauty of the stone, many engaged couples opt to buy diamonds with this grade even if they still command a hefty price. SI-1:Slightly Included 1: Small inclusions are visible with 10x magnification. These are quality diamonds with considerable value. SI-2: Slightly Included 2: Several small inclusions are visible with 10x magnification. SI-3: Slightly Included 3: Inclusions may be visible to the naked eye for a trained observer. SI1 and SI2 diamonds have inclusions that are easy to find with 10x magnification, but these stones may still possess an attractive over-all appearance. These are usually quite within the budget of most engaged couples. I-1: Included 1: Flaws are visible to the naked eye. I-2: Included 2: Many flaws are clearly visible to the naked eye, and these also decrease the brilliance of the diamond. I-3: Included 3: Many flaws are clearly visible to the naked eye, which decrease the brilliance and compromise the structure of the diamond, making it easily cracked or chipped. Diamonds graded I1, I2, and I3 not only have inclusions that are obvious when a loupe is used to examine them, but they are visible to the naked eye. A buyer should be cautious when the inclusions and blemishes threaten the strength and integrity of the stone. Over time, a cleaner stone will experience better increase in value than a stone that is evidently or structurally flawed. While Flawless diamonds are the most rare and beautiful diamonds, a diamond does not have to be completely clean to be extremely attractive. Those diamonds with VVS and VS grades can be excellent choices as well. More affordable are those diamonds called "eye-clean" - one that has no inclusions visible to the unaided eye. Diamonds graded S1 and S2 would probably suit more modest budgets. If you are serious about buying a diamond ring in the near future, it might be a good idea for you to invest in a jeweler’s loupe, which will generally cost less than 20 dollars. Even if you only buy one diamond, your ability to find blemishes and inclusions will help you get the best quality for your money. When you finally shop in earnest for the diamond you want, here is the bottom line: remember that it is best to choose a stone that does not have obvious inclusions and blemishes. If you can afford flawless diamonds, then go ahead and buy them. However, if you don’t have the budget for such quality, just go ahead, search with your loupe, and stay away from structurally flawed stones. Pick the best diamond you can afford, and enjoy it.